Wisk away your evening with this bed frame that features a a faux leather upholstered bed frame with button tufting on the headboard and an under drawer for extra storage. 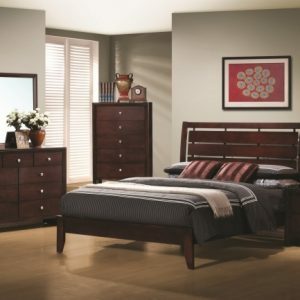 Compliment your bedroom space decor with a matching nightstand, mirror, and dresser. Available in black, white or beige. Bedframe available in Queen or full size.